For anyone who loves to have a variety of dishes for any meal, the small plates format is your best option. Needless to say i'm a huge fan of Spanish tapas. 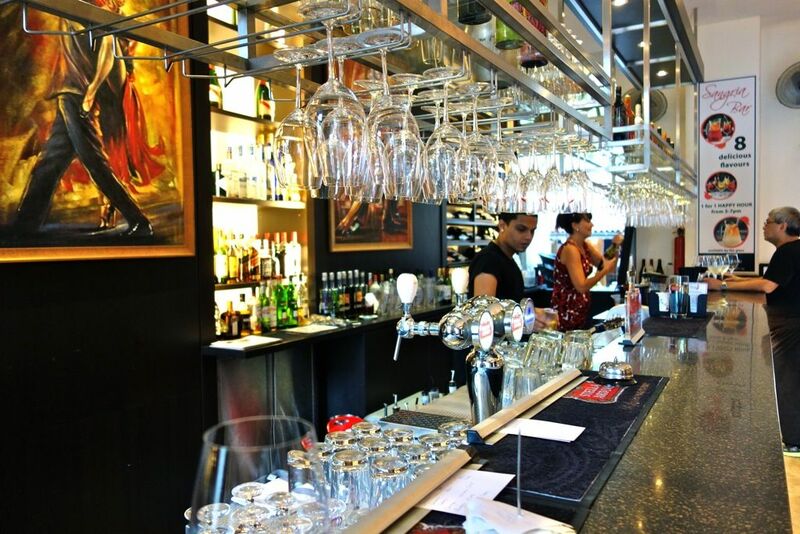 I recently checked out Fandango Tapas and Wine Bar and enjoyed dining privileges using the Palate card. 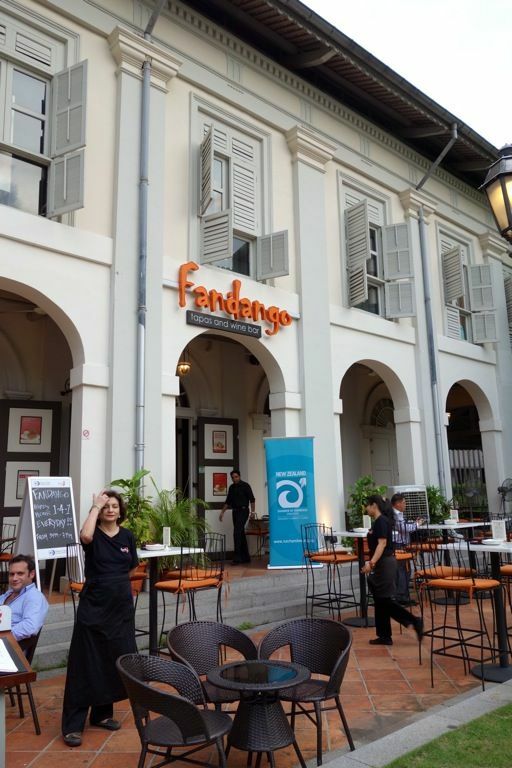 Located in the heart of Chijmes, Fandango provides a chic yet comfortable place to relax and unwind in the al fresco seating area facing the lawn and the beautiful church. Thankfully, the weather was on our side for some outdoors dining. Fandango offers a good selection of traditional Spanish tapas as well as some Asian inspired dishes such as Roast Pork Belly. An extensive wine list that accompanied all those authentic dishes kept us very happy that night. Other than Spanish wines and beers, there are Australian, New Zealand and South American wines as well. I like that they offer many wines by the glasses so that allowed us to try various drinks without committing to a bottle. 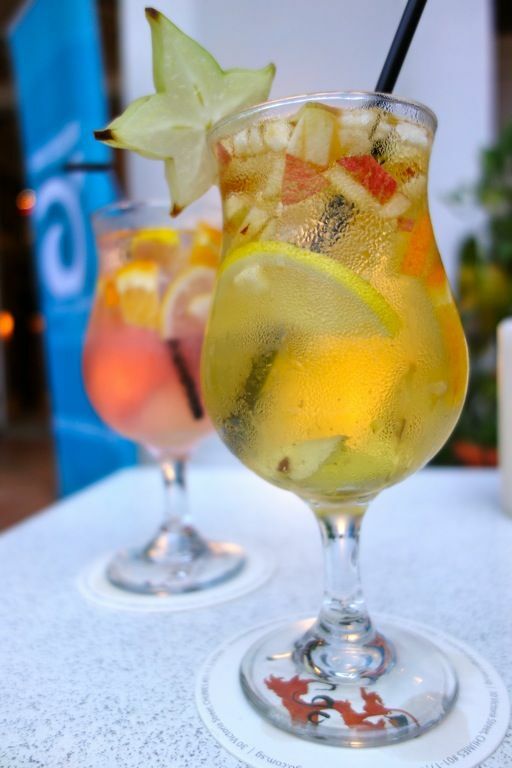 What's Spanish tapas without some Sangria right? I was a little disappointed as our Sangrias were a little diluted. The red wine based ones were stronger though. 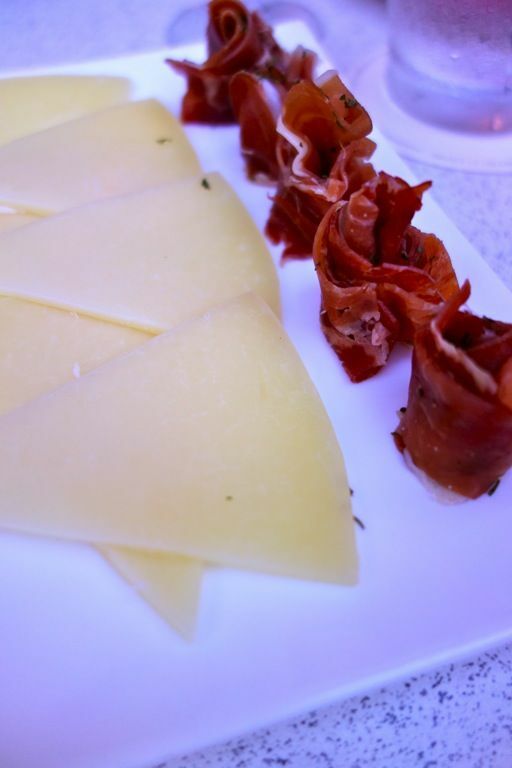 Serrano and Manchego ($18) is a good snack to have with some wine. Another option is the Deep Fried Camembert ($17) served with raspberry and Cabernet coulis. I liked the texture of the oozy cheese but the coulis was lacking in texture and too watery for my liking. 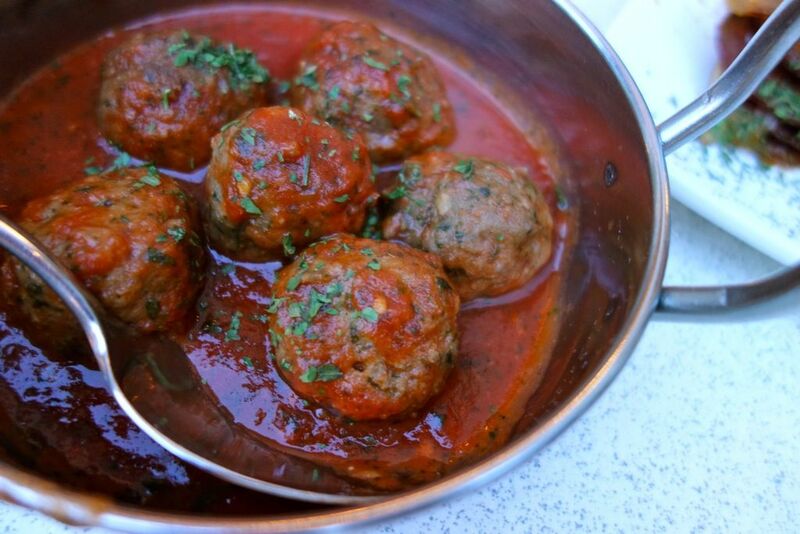 The Albondigas ($14), a traditional beef meatballs in a spicy tomato and rosemary sauce was probably my favorite dish of the night. They were juicy, flavorful and simply divine. 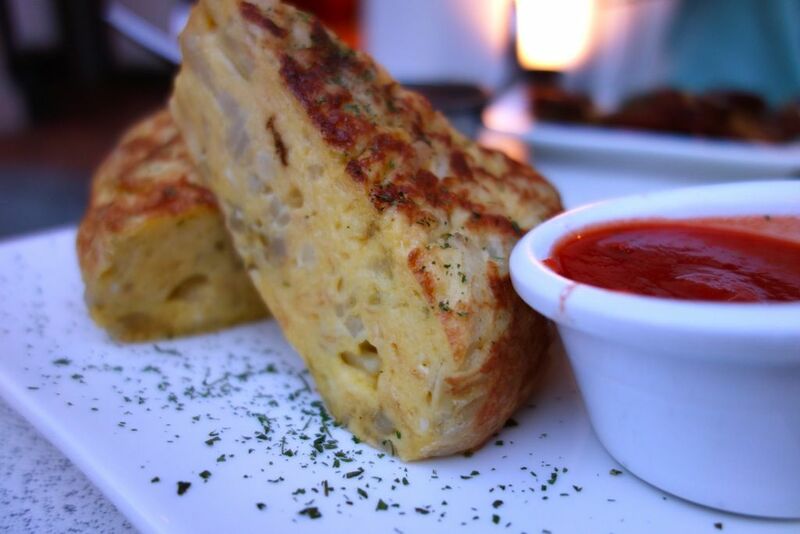 The Tortilla a la Espanola ($11) is a classic Spanish potato and onion omelette. It's so hard to find a good one in Singapore and it's really not that easy to make one. Fandango's tortilla kept me going on and on the whole night with its soft potatoes and light onion fragrance. It's good alone but the tangy tomato picante was good with it too. 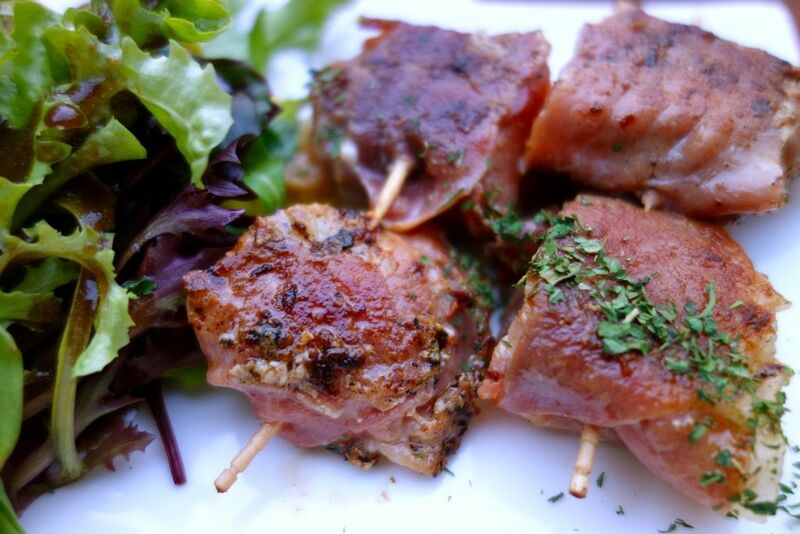 It's hard to go wrong with Scallops and Serrano ham skewers ($18). 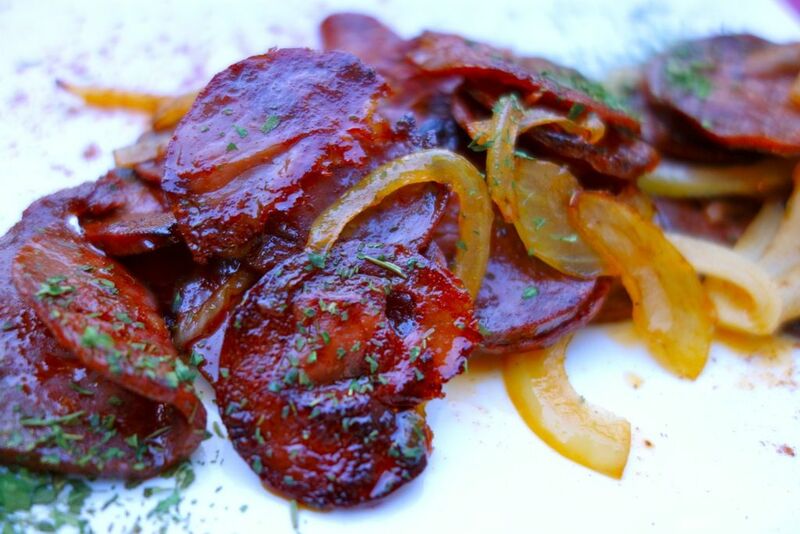 To the uninitiated, the traditional Spanish Chorizo ($18) may be thought of as too hard, dry and salty but that is what chorizo is. This spicy and salty meat is pan fried with onions and dusted with a touch of paprika. It would be great if it came with a serving of baguette though. 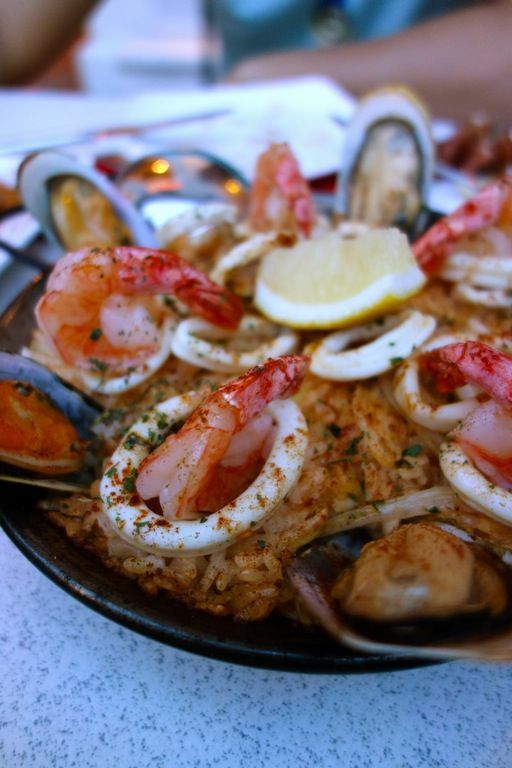 The Paella de Marisco ($35) wasn't the most traditional that i've tasted. For one, the short grained rice was a little too fluffy for a paella. I was told by Emma, the friendly boss, that it's a spanish grain, though not bomba. 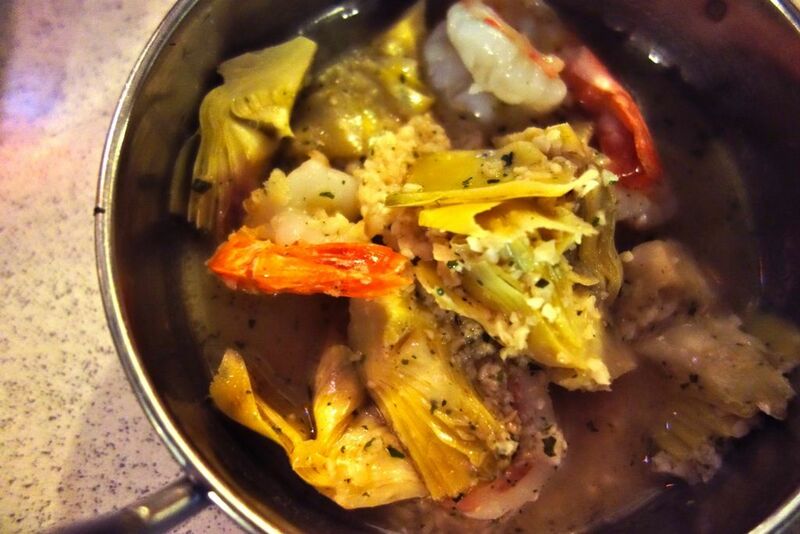 Texture aside, i liked the rich seafood broth taste in this one and the seafood were fresh. Desserts were kinda disappointing for us. 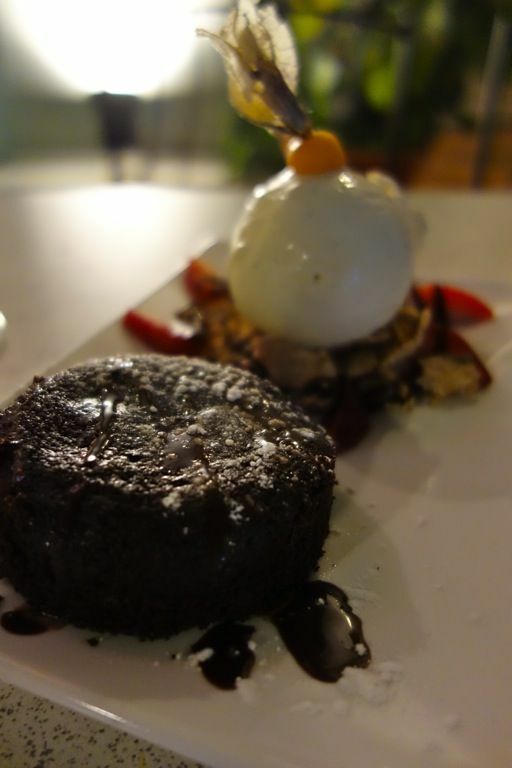 Our Chocolate lava cake was overdone the first time round. Despite the molten centre in the second, the chocolate taste was lacking. Ice cream was so so as well. 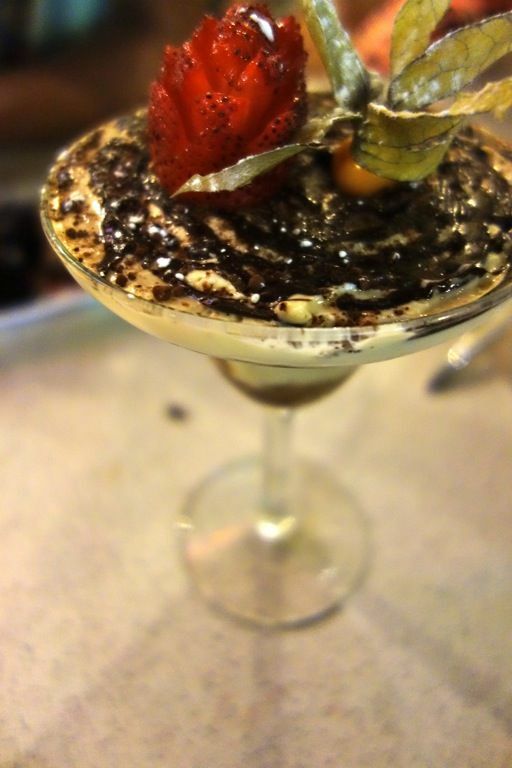 The signature tiramisu was sorely lacking in espresso and alcohol. It was all cream and frozen chocolate swirls all around. I say skip desserts and stick to the wine and tapas. We enjoyed a 25% off our total bill (there were 4 of us) and that saved us quite a bit from all that feasting. Whee. So glad that i have the Palate Card (read more here) for that. So here is the final Palate Card giveaway! This is what you need to do to win a Basic membership card worth $428. 1. Visit my Facebook page (click here) and find the Fandango Post. 3. 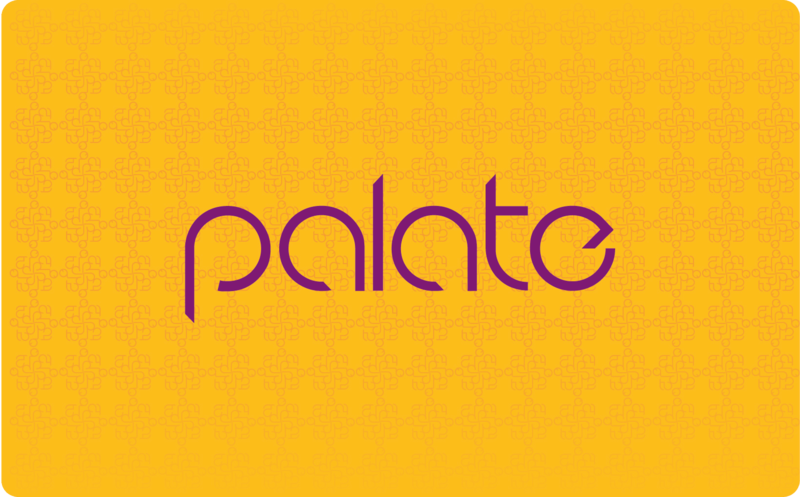 Tell me which restaurant you would like to try under the Palate Card dining privileges. Giveaway ends midnight 25 Aug! Remember to like my FB page if you haven't done so. :) Good luck!